Passover – probably my favorite Jewish holiday – is the eight-day observance commemorating the freedom and exodus of the Israelites from Egypt during the reign of the Pharaoh Ramses II. The name Passover comes from God’s promise to “pass over” the homes of the Jewish families when he killed the first born children of the Egyptians. Like practically every Jewish holiday, Passover is celebrated with food and wine. We retell the story of our exodus from Egypt with a plate of symbolic foods that represent everything from our blood, sweat and tears to the promises of rebirth and a healthy future. Traditional Jewish foods are also in abundance during a Passover Seder. Matzah, horseradish, fish, brisket and delicious coconut macarons are all common flair for a fabulous Passover harvest. The other staple of a Passover Seder is a Haggadah, or the text we read from to help tell the story of the holiday. The Haggadah helps guide us through the history of Passover, the prayers and blessings over our food and fortune, and concludes with hopeful wishes for a fruitful spring. Though I don’t consider myself a very religious person, I happen to have a deep connection with Passover. Not only do I lead the Seder for my family every year ( which is unusual for a woman, by the way), but I even wrote my own Haggadah that my family uses to celebrate Passover (but more on that tomorrow!). If you’re unfamiliar with the Passover holiday but are intrigued to learn more, you’re in luck…because I happen to have some fun facts for you that might give you (or your Jewish friends) a new appreciation for one of the oldest and most iconic of Jewish holidays. Passover is the oldest celebrated Jewish holiday. 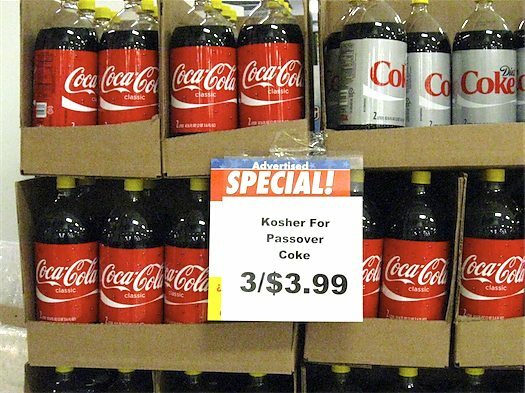 The Coca Cola bottling company in New York makes Coke that is kosher for Passover. Instead of corn syrup (corn is not kosher for Passover), they use sugar. When the Jews fled Egypt, it was said that they left in such a hurry that they didn’t have time for the dough to rise, thus the bread was all flat. This is why Jews eat Matzah and refrain from eating anything with leavening in it (bread, crackers, beans, corn grains) for eight days. One of the main lessons of Passover is thankfulness. Some progressive temples have forgone the traditional Seder and have instead rallied together to make meals for the poor (PS – FAMILY, WE SHOULD DO THIS!). 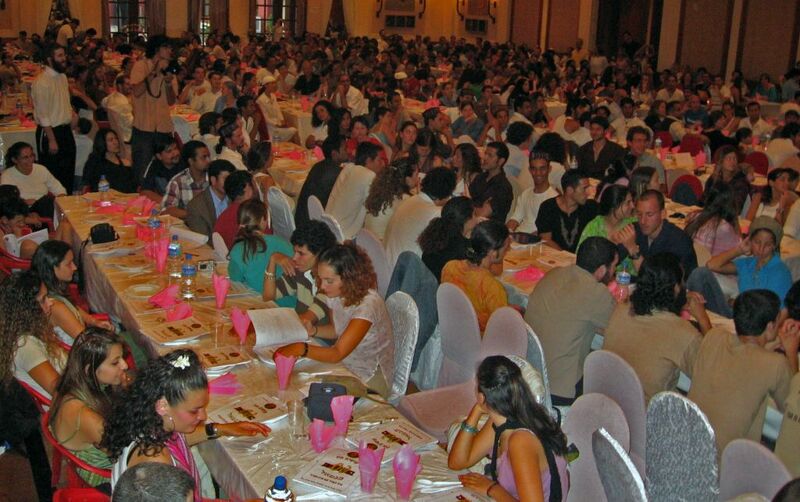 The largest Seder in the world takes place in Kathmandu, Nepal. Turns out a lot of travelers from Israel, after completing their service in the Army, end up in the Asian country and gather there to celebrate their heritage. Matzah ball soup is another staple of Passover. In 2009, Chef Anthony Sylvestry managed to make a matzah ball measuring 22.9 in. wide and weighing more than 260 lbs. It was crowned the largest matzah ball in the world and helped raise money for a charity basketball game. 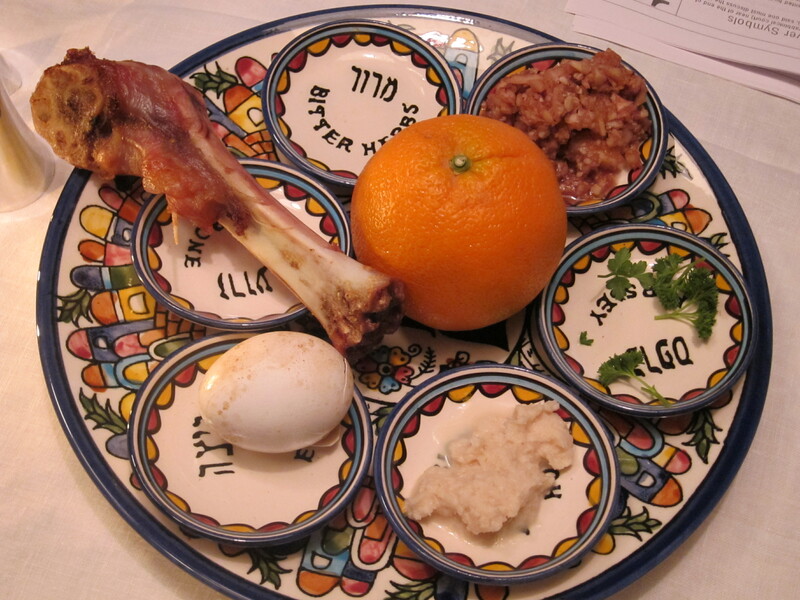 A recent addition to the traditional Seder plate is the orange, meant to symbolize support of marginalized people, including women and homosexuals. Some Ethiopian Jews break all their cooking dishes at Passover and make a new set to symbolize making a true break with the past. 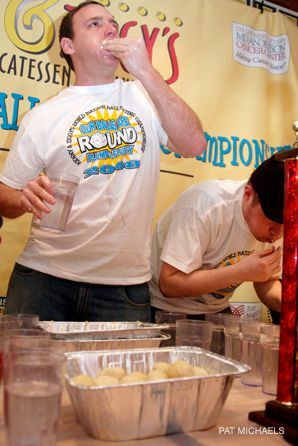 In 2008, competitive eating champion Joey Chestnut at 78 matzah balls in eight minutes. WOOF. 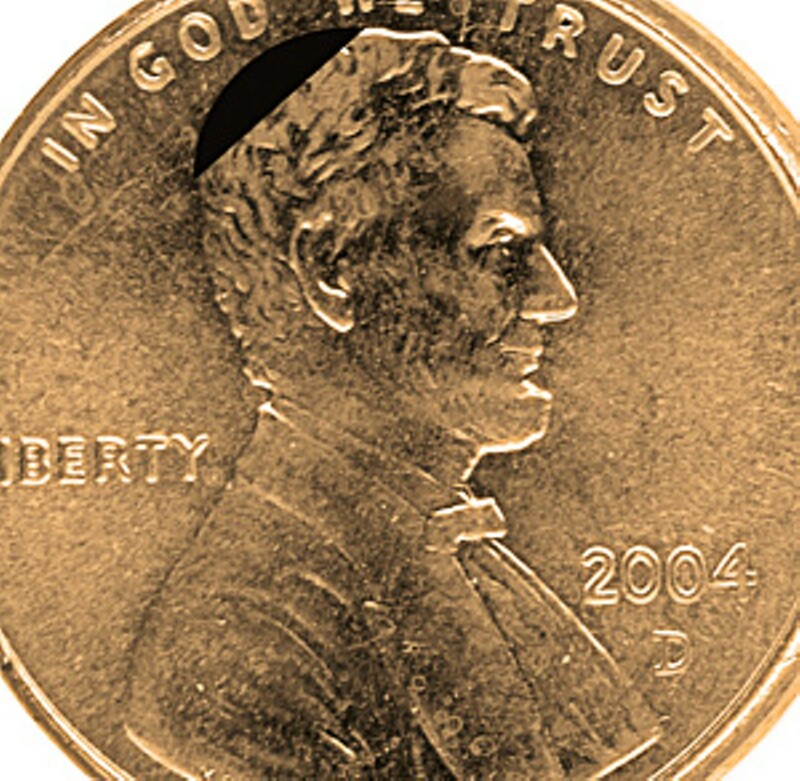 Abraham Lincoln was assassinated during the Passover holiday. Many Jews were in temple when news of his death broke, thus alters were quickly draped in black and, instead of Passover melodies, the congregations chanted Yom Kippur hymns, which focus more on repenting and forgiveness. 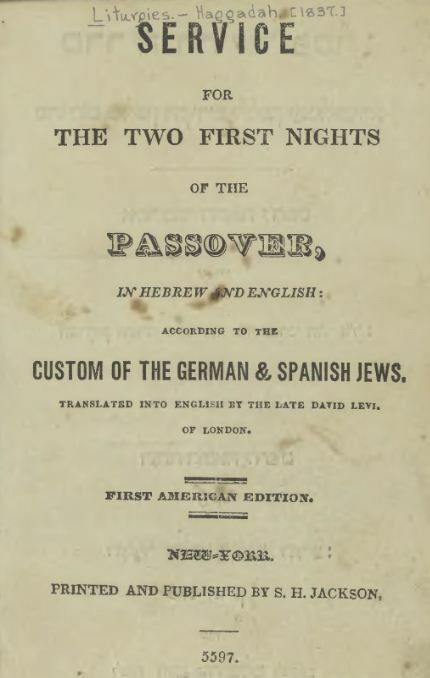 The first American Edition of the Passover Haggadah was published in 1837. While you can technically buy matzah year-round, matzah made for Passover has to be made specifically for the holiday. 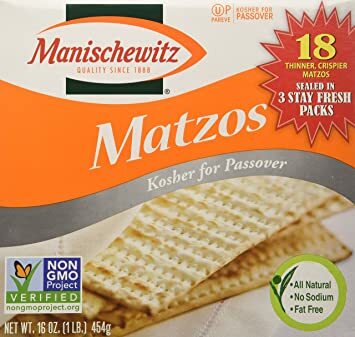 A special process makes kosher matzah OK for Passover use (it has to be heavily guarded from moisture)…and boxes made specifically for the holiday are marked with a “kosher for Passover” label. Matzah has to be made in less than 18 minutes for it to be considered matzah and not leavened bread. That’s cool – thanks for chuckles!